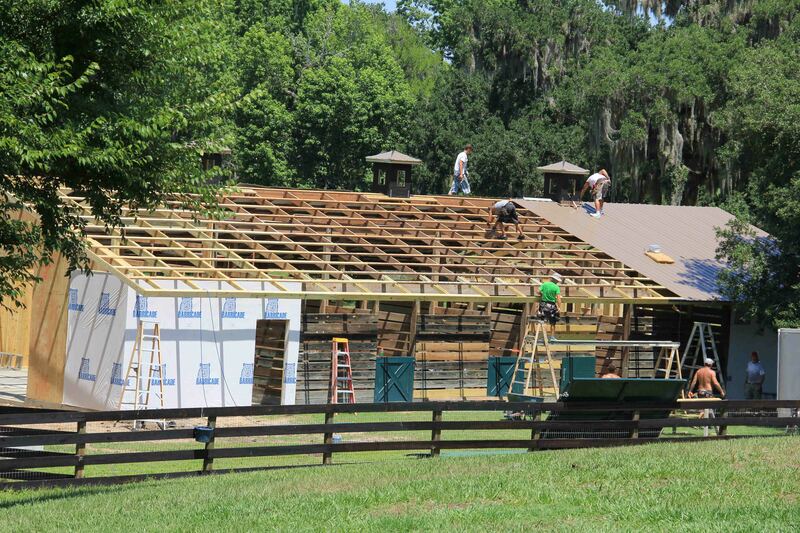 I want the barn to be done. Done, as in moved in, lived in. Done. It is not that kind of done. It is, however, a so far kind of done. You can see what is done…so far and that is something. I have been watching and recording its progress every day and I am in awe of the great amount of skilled, physical labor it has taken to get this far. I am also in awe of how dang hot it is out there, not even counting how much hotter it must be standing on a metal roof. The limitation of being so far done is that we are all still camping out. Only Filou has use of his feeding stall and sometimes even that happens in the back yard, depending on the day. This act of discrimination has made itself felt within the herd and, finally, someone cracked. Tuesday, Belle wedged her round little self through the gate as I led Filou in and gave crazy chase around the work site. That cleared guys off ladders in a hurry. In retrospect I see that she had been plotting this escape for some time, snuffling up to the gate to scout how long it takes me to turn Filou in order to fully pull the gate closed behind him. Her calculations were spot on. Here is what done so far looked like by Friday’s end. Well, that’s not quite true; by Sunday’s end. You see, we pulled the tractor in this weekend, moving dirt around now that the lumber piles are disappearing and also picked up 500 tons of rocks … give or take … and I think that work should be counted! They wrapped the newly constructed ends …. 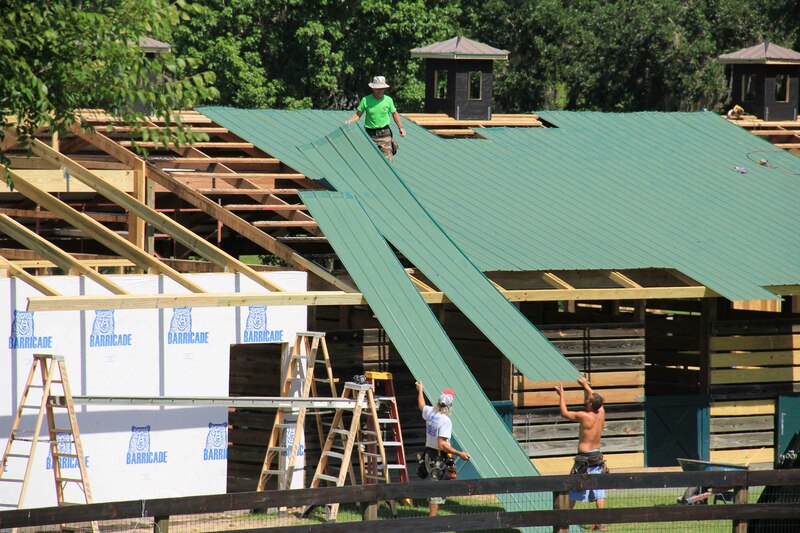 Meanwhile, Jack, the lead framer, worked on the three cupolas. 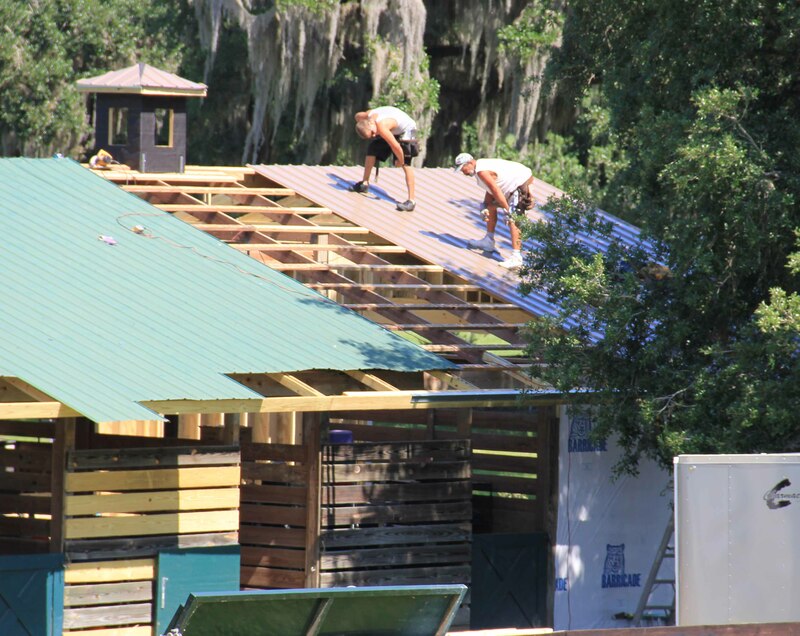 Scaffolding, four guys and a precarious hike up the roof…. 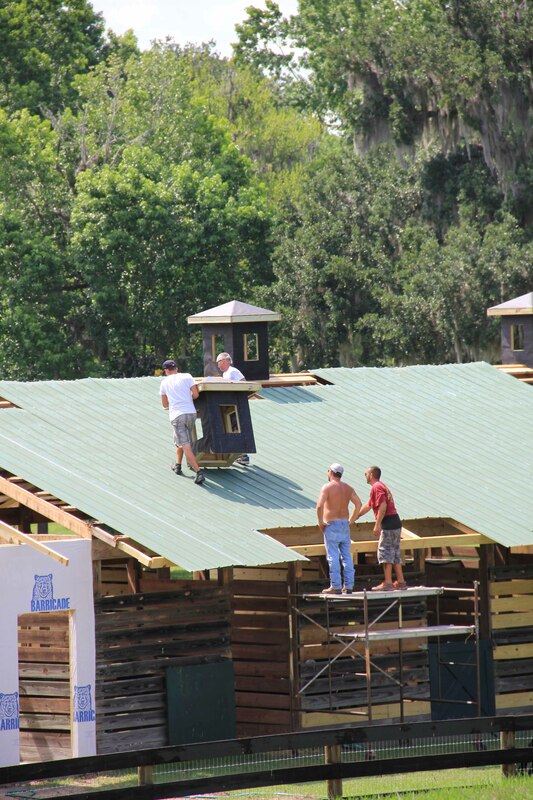 And the cupolas are up. Down is faster than up. 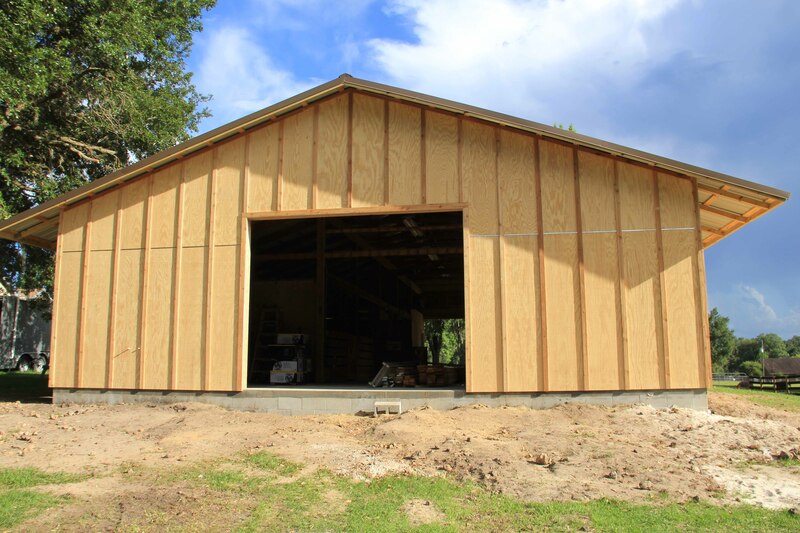 This week, construction will begin on the dutch stall doors for the outside walls and the siding will be continue. 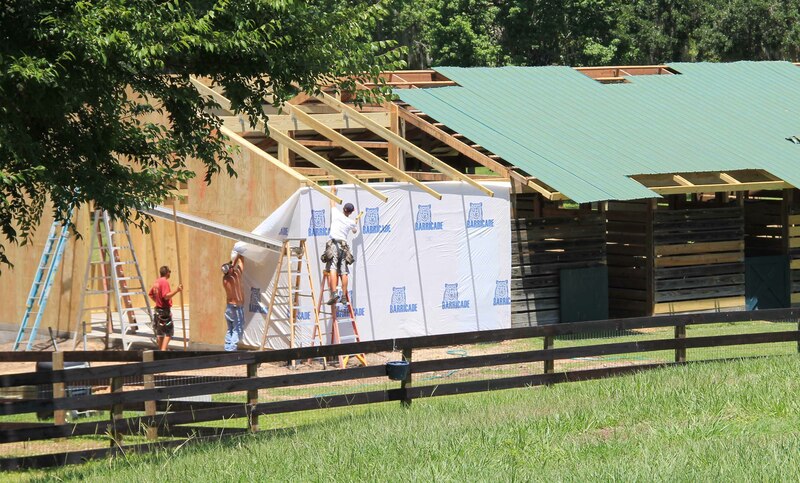 The end barn doors (leaning against the fence in the foreground) will be “sided” as well. More electrical work needs to be done, oh yes, and the plumbing. 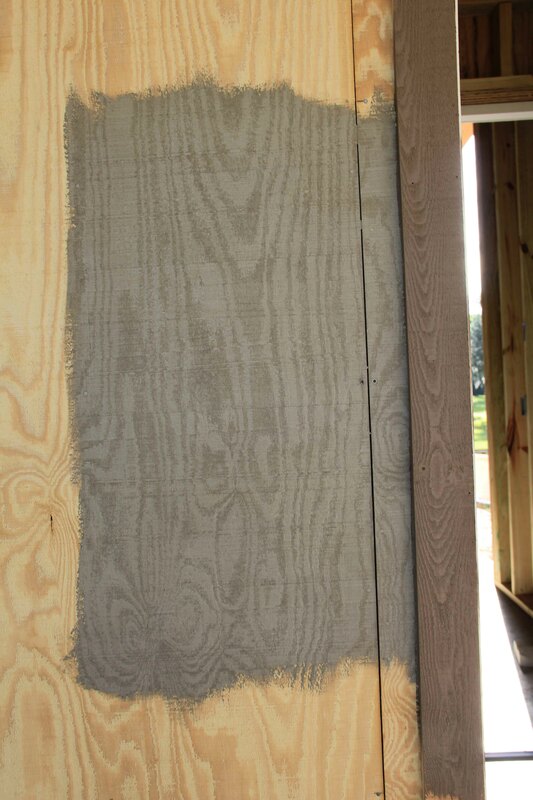 The inside stall doors should be coming this week (fingers crossed). Then the painting will begin. The final step will be adding the concrete aprons. I swear though, if I have stall doors inside and out, Belle won’t be the only crazy thing making a run for the barn. I might just have to give it a whole herd test drive … after all the guys have gone home, of course. Thank you, Melissa! 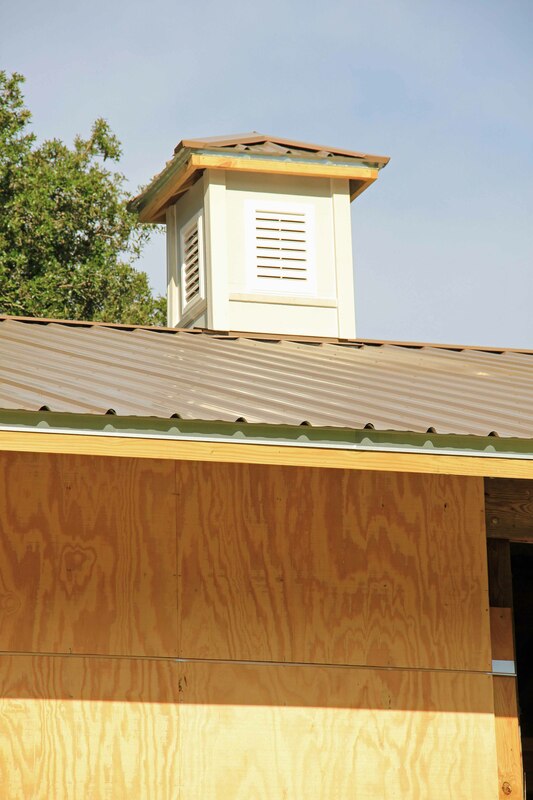 The house is next….